Have an idea for an app? Want to improve your job prospects or increase efficiency? 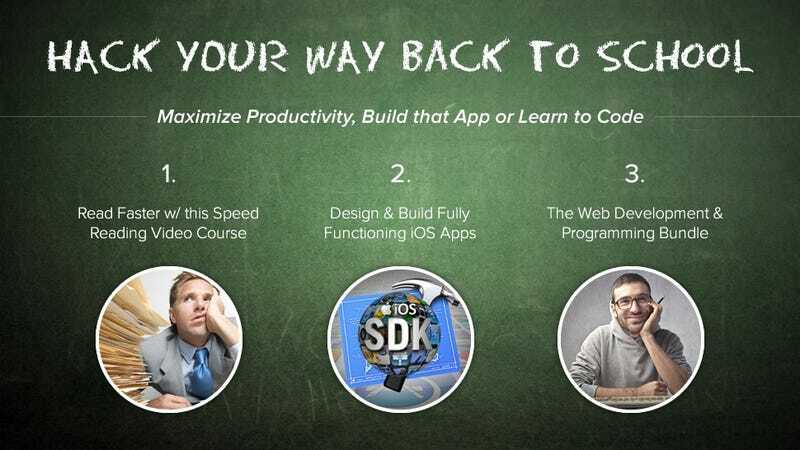 Check out these specially discounted Udemy courses: Learn to build iOS apps from scratch, master the basics of web development, or learn to speed read, all for over 50% off. StackSocial curates exclusive, hand-picked deals on trending and innovative digital products purely for tech readers. They've partnered with the Lifehacker Commerce Team to bring you deals on software, apps, gadgets, tutorials, and design. So to be clear, this post is not editorial and we make money on sales.